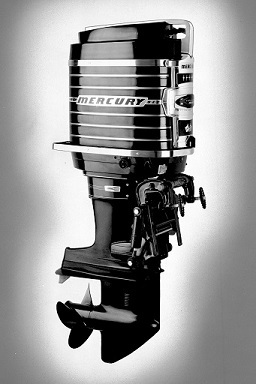 Mercury Marine celebrates its 75th anniversary today – Wednesday Jan. 22 – from its humble beginnings in Wisconsin to its growth into the world’s leading provider of marine engines. Mercury, a division of Brunswick Corporation, designs, manufactures and sells the broadest range of marine propulsion products for applications ranging from inflatable tenders and fishing boats to cruisers and yachts. entities have played in establishing the foundation of our business and our future. engines into working capital to fund the future business he envisioned – magnetic separators for the dairy farm industry – Mr.
and Kiekhaefer suddenly found himself in the marine engine business. 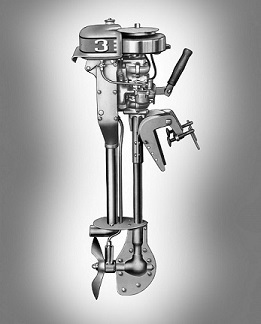 Mercury made its initial mark in the marine industry by providing reliable, innovative products. But it didn’t take long before its engines were highly regarded for performance and speed. Mercury has long been recognised for producing engines that not only get you where you want to go, but also get you there first. Mercury directs the activities of more than 5,400 employees in dozens of countries from its global headquarters in Fond du Lac, Wis., and works hand in hand with more than 4,200 dealers and distributors around the world. Mercury’s year-long 2014 celebration plans include events in various locations throughout the world.